Throughout the 12 days of Christmas we’ll be looking back at some of the highlights from the Royal Opera House’s outreach work over the past twelve months. On the twelth day of Christmas, my true love gave me 12 films from our Insight events. From opera singers in conversation to ballet dancers in rehearsal, our Insight events allow you to gain a deeper insight into our artists and their work. This Season will feature 80 Insights, including pre-performance talks, ballet rehearsals and classes, sing-alongs, and masterclasses. The Insights Programme inspires and empowers people to learn more about the work of the Royal Opera House and our art forms, and we’ve enjoyed a stellar line up of speakers over the last few months including Carlos Acosta, Antonio Pappano, Nina Stemme, Matthew Golding and John Tomlinson. Every season, we film a selection of these events, which are now all available to watch on the ROH YouTube channel. We think you might enjoy Plácido Domingo in conversation, conductor Mark Elder’s masterclass on Rossini, and The Royal Ballet’s Manon in rehearsal. Insights are generously supported by The Paul Hamlyn Education Fund. On the 11th day of Christmas, we celebrated the 11 partners in the A Common Territory (ACT) Network. Since 2012, we have been working with 10 other local and European partners in the ACT network to support creative and collaborative activity. Partners include the Orchestre de Picardie, Purcell Singers, Southend YMCA, Opéra de Rouen and Comédie de Picardie. Through our involvement in the network, we have created a world class collaboration with international jazz artists including Chris Brubeck; RM19 and Thurrock Music Services; a beautiful dance piece at Gateway Academy with French dance company ECO; and Noye’s Fludde, which will have its world premiere in France in 2015. 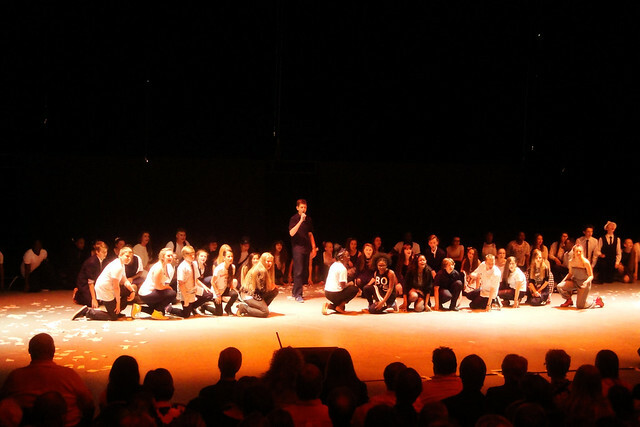 We have also involved some of our Thurrock Trailblazer schools in the Noye’s Fludde project. This is an exciting new programme for our Learning and Participation department and is designed to ensure students in every participating school have access to high quality cultural learning opportunities. We already have 21 schools signed up across Thurrock this academic year. Schools enjoying the programme have access to CPD themed around ‘Sing', 'Design and make’ and ‘Write and perform’ and we will develop targeted offers for schools to engage with our work in Covent Garden and Thurrock and broker new relationships between schools and other cultural providers. 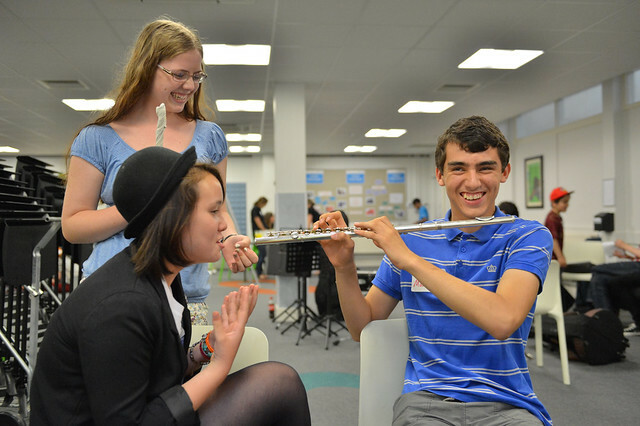 Students celebrate after the Saffron Walden Music Ambassadors sharing day © ROH. Photographer Nick Strugnell, 2014. Since 2012, Royal Opera House Bridge has leveraged over £1,000,000 of vital arts funding into Essex, Hertfordshire, Bedfordshire and North Kent. This is being used to help connect children and young people with great art and culture. We have invested in a range of activities in the region including film competitions with Elstree Studios, a trailblazers teachers programme in Thurrock, as well as supporting orchestras in Luton. However, investment is much more than just money. Projects we support help children and teachers to try new things, learn new skills and build their confidence in the arts. More than 6,000 young people have gained an Arts Award and 52 local schools achieved Artsmark status through Royal Opera House Bridge support. We’re (Lords-a-) leaping with joy because Arts Council England have committed a further three years worth of funding to enable us to expand and deepen arts and cultural opportunities for young people across the region. 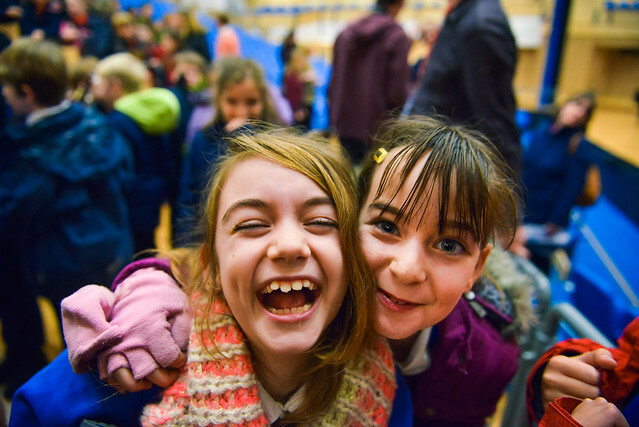 Royal Opera House is one of 10 Bridges across England publicly funded by Arts Council England over three years to help to connect children and young people with great art and culture. 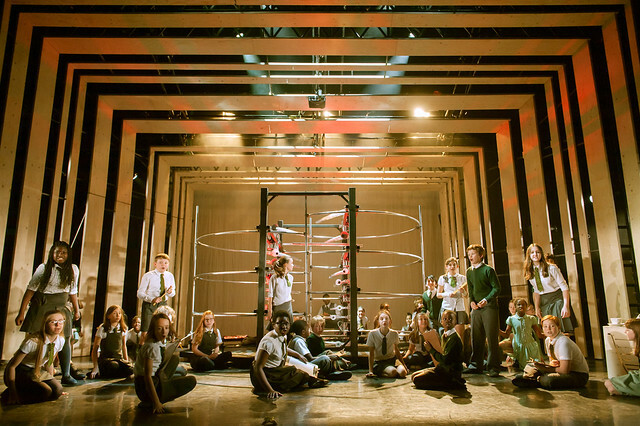 Youth Opera Company members in The Crackle © ROH. Photographer Stephen Cummiskey, 2014. With 54 members of the company, all aged between nine and 13, the group regularly impress with their talent and enthusiasm. Often, joining the company provides their first experience of opera and they love the combination of drama, movement and singing - as well as the opportunity to perform in new commissions in the Linbury and on the Covent Garden main stage. We work with partners such as Wigmore Hall, English Touring Opera and schools involved with the wider Learning and Participation programme to run a series of workshops for anyone interested in joining and those who show potential are invited to an informal audition to become a part of the company. The company is now in its fifth year and one of our original members, Lara, is about to perform with The Royal Opera in Orfeo at the Roundhouse. The Company have performed in The Crackle in the Linbury Studio Theatre and Carmen on the main stage and are currently rehearsing a new commission called Out of the Ruins, composed by Charlotte Bray and with a libretto by Kate Kennedy. The Youth Opera Company is generously supported by Bjarne and Yvonne Rieber. Our 80 young musicians have been busier than maids-a-milking on the Take Five Summer School. We worked with five music hubs across the Thames Gateway region (Essex, Southend, Havering, Thurrock, and Barking and Dagenham) to bring together 80 young instrumentalists and singers across the region. They joined our Summer School to experience every stage of putting on an opera in just three days. 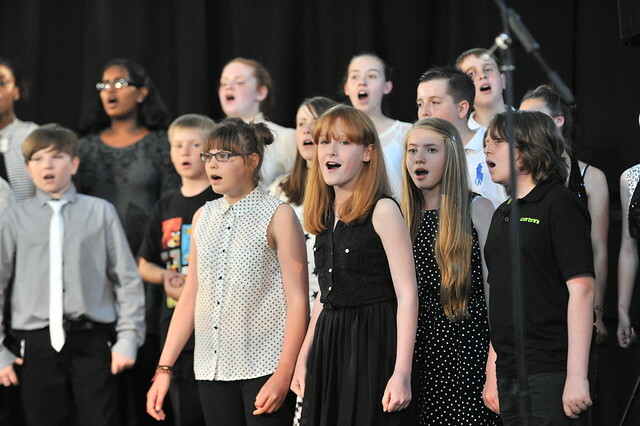 Participants work with an artistic team including a conductor, composer and vocal coach and the programme culminates in a performance with members of the Royal Opera House chorus and orchestra. Participants tell us that ‘Take Five develops everything about you, both in person and musically’ and that by being involved ‘I have learnt to listen and balance my instrument with the rest of the orchestra. I have also learnt a few different techniques’. 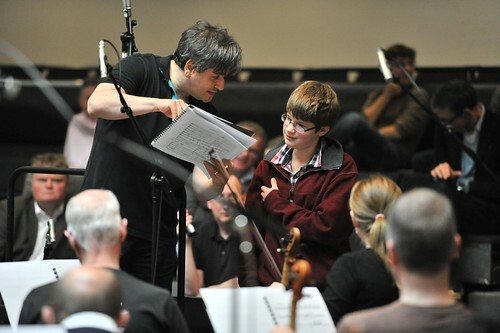 One of our music hub tutors believes that ‘to work on a ROH project is unique in itself. To stage an opera in three days is pretty unique. To have professionals, students, and Local Authority tutors working, learning, and performing together is unique. The standard of repertory and combination of creative work is rare’. Take Five is generously supported by Mrs Lily Safra and Thurrock Borough Council. Not seven swans but 27,000 student tickets sold last Season. Our ROH Student scheme is free to join and offers members thousands of tickets from as little as £1-25. To celebrate the scheme, the 2014/15 Season opened in style with a special student performance of The Royal Opera’s Anna Nicole. For one night only the entire auditorium was filled with students and young people. Ticket holders were treated in celebrity style with red carpet snaps plus a live jazz band and free refreshments inside. Every Season, we also invite our student members from across the UK to apply to become Ambassadors, who represent the Royal Opera House and promote our student opportunities on their campuses. Next year hundreds of discounted tickets will be available for dedicated student performances of Swan Lake on 18 March, Madama Butterfly on 6 April, and Woolf Works on 11 May will be available. 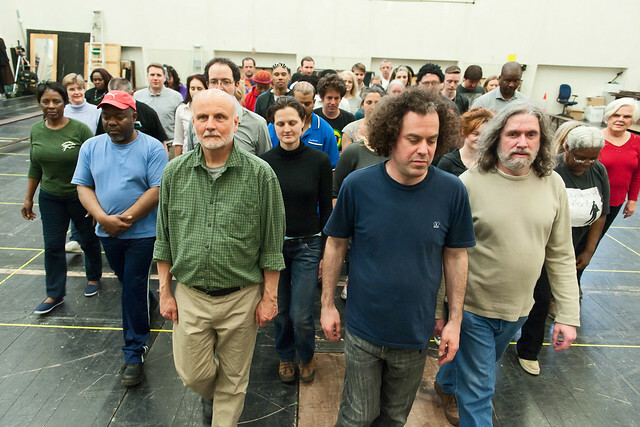 Find out more about becoming a ROH Student member. The ROH Student scheme is generously supported by the Bunting Family and Simon Robey. On the sixth day of Christmas, my true love gave 67 people the chance to perform in a main stage Opera production. Matt Peacock, the Chief Executive of Streetwise Opera recently wrote about why participating in the arts is a vital part of the support package for homeless people, giving them a sense of pride and purpose. 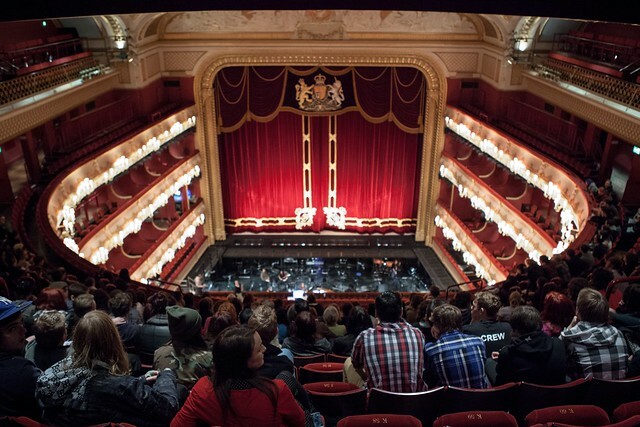 Members of the Community ensemble are still involved with the Royal Opera House and some members have recently applied for work placements with us in a number of departments including Sound and Broadcast, Stage Management and Press. The Community Ensemble is generously supported by the Calouste Gulbenkian Foundation with additional philanthropic support from the Schroder Charity, Wilhelm Helmut Trust and Anne and Rob Heather. Chance to Dance is the longest-standing flagship programme run by the Royal Opera House’s Learning and Participation department. Since 1991, approximately 30,000 young people aged 7-11 have had an introduction to ballet through the programme which works with schools across Thurrock, Lambeth and Southwark. Students who show particular aptitude or enthusiasm for dance are invited to join the Chance to Dance company for up to four years, enjoying weekly workshops and taking part in an inspirational annual performance alongside dancers from The Royal Ballet and a live Orchestra. We’re incredibly proud of all the students who have enjoyed Chance to Dance and many of our graduates have gone onto further dance training including at the Royal Ballet School and enjoyed careers at Ballet Black, English National Ballet and San Francisco Ballet. On the fourth day of Christmas, my true love gave me four choirs and orchestras united for a performance of Verdi’s Requiem. Singers from the Jette Parker Young Artists Programme joined the Royal Opera House Thurrock Community Chorus, Brighton Festival Chorus, the Orchestre de Picardie and the Orchestre symphonique de Bretagne, under the direction of leading Dutch conductor Arie van Beek, to create an unmissable performance. Verdi’s Requiem was one of the highlights of the three-day Fused Festival which took place at High House Production Park in July and included interactive workshops, an exhibition of work around the themes of the Requiem, workshop tours and a world premiere of ‘A Little Thing Called Life’ by local singing group RM19. RM19 is a free youth music group, for members aged 11-25 who live, work or study in Thurrock. Led by Dominic Peckham, it now has 51 members who come together fortnightly for rehearsals and Charlie Innes, one of our current members has just been accepted into the National Youth Choir - well done Charlie! The Thurrock Community Chorus is generously supported by Thurrock Borough Council, Royal Opera House Endowment Fund and Prudential. Fused Festival is generously supported by Thurrock Borough Council. RM19 is generously supported by Thurrock Borough Council, Mrs Lily Safra, the Metherell Family, Wendy Sargent, the Lucille Graham Trust, the Bernard Sunley Charitable Foundation and the Bernarr Rainbow Trust. Forget three French Hens – we’ve got French Horns! The Royal Opera House Fanfare competition asks young people (aged 11-16) to compose a short piece of music that can be played before the start of performances at the Royal Opera House. During the 2013/14 Season, we chose ten winners (from over 270 entries) who had their Fanfares played 302 times during the Season. 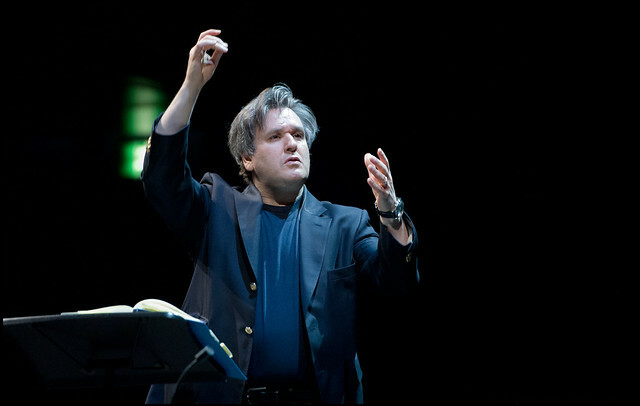 The ten winners were invited to work with a professional composer to refine the pieces before recording them with Antonio Pappano and the Royal Opera House Orchestra. The Fanfare competition has also travelled Down Under with Sydney Opera House launching their own version of the competition this year. Our latest Fanfare competition has just launched, winners will be heard throughout the Royal Opera House during our 2015/16 Season – for more details about the competition and how you can enter, see our site here. Instead of turtle doves, we held two special matinee performances for families who have never been to see an opera or a ballet at the Royal Opera House. As well as getting access to cheap tickets to the Annenberg’s Welcome Performance of L’elisir d’amore or the Paul Hamlyn Christmas Treat performance of Alice’s Adventures in Wonderland, families were able to experience the magic of life behind the scenes at the Royal Opera House. The events offered opportunities for dressing up, seeing props or archives, taking part in design workshops, and live music. The Royal Opera House also runs a Schools’ Matinees programme, giving teachers the opportunity to bring their students to our productions. Children who attend the schools matinees are often enjoying their first experience of the Royal Opera House and our art forms, one young audience member told us ‘The inside was magnificent, they had golden elevators and 3D paintings’ while teachers talk about the transformative effect of bringing children to the performances: ‘This experience highlighted a most unlikely child's appreciation of theatre and the arts. It is light bulb moments like this that make teaching worthwhile’. Schools' Matinees are like no other performance, with a number of special insights, where over two thousand children cheer, boo, and are amazed by props and special effects. Where possible, we show a live scene change, giving the next generation of opera and ballet fans the chance to see what happens behind the red velvet curtain. The programme reaches over 10,000 school children from across the UK every year. Upcoming productions include Un ballo in maschera, Madama Butterfly and Don Giovanni. Find out more about Schools’ Matinees here. Welcome Performances are generously supported by Gregory and Regina Annenberg Weingarten through the Annenberg Foundation. If you are interested in attending a Welcome performance next Season, register now and keep an eye on the Welcome Performances page for details of what you can see. The Paul Hamlyn Christmas Treat is generously supported by the Helen Hamlyn Trust in memory of Paul Hamlyn. Schools’ Matinees are generously supported by the Taylor Family Foundation. The Royal Ballet's live-stream as part of World Ballet Day, 2014 © ROH. Photo by Sim Canetty-Clarke, 2014. Our partridge in a pear tree is World Ballet Day. On the 1 October 2014, the Royal Ballet joined together with the Bolshoi Ballet, National Ballet of Canada, the Australian Ballet and San Francisco Ballet to produce World Ballet Day – 20 successive hours of unprecedented behind-the-scenes access, including insights, rehearsals and behind-the-scenes footage of five amazing dance companies. The stream had over 300,000 views and enjoyed highlights including a look at the Royal Ballet preparing for the day in morning class, the Australian Ballet rehearsing Swan Lake, La Sylphide in rehearsal from the Bolshoi and a live link-up with one of our Chance to Dance classes in Peckham. You can still watch highlights from the day on our YouTube channel. Viewers were invited to participate by sending us films of themselves doing a pirouette or quizzing our dancers. #WorldBalletDay trended on Twitter and we loved hearing about why people love ballet all over the world.